Samsung’s Galaxy S6 is a fantastic smartphone. But maybe you find it boring. Maybe it’s disappointing that the new Android standard-bearer looks so much like an Apple product. If that’s the case, perhaps the Galaxy S6 Edge is more your speed. The S6 Edge is the “whoa, that’s weird looking” variant to the more straight-laced Galaxy S6. You pay $100 more, and in return you get a curved phone. Though it’s the same size, same resolution, the screen just rolls right over the edge to meet a dramatically reduced profile. Oh sure, we’ve seen curved phones before. 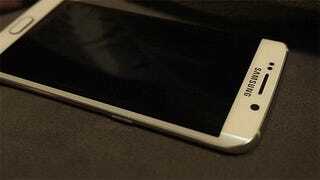 Last year, LG debuted the G Flex, and Samsung the Note Edge, two different smartphone takes on the same idea—curves. But I’ve spent some quality time with the new S6 Edge, and I’m not so impressed. Where LG’s update to its banana-shaped smartphone experiment turned into something worth buying, the S6 Edge is only really worth it for a specific kind of person. Before I rain a torrential downpour on your Edge parade, let me clear up some things first. There are tons and tons of things the S6 Edge gets very right. Eye-catching design, a better TouchWiz Android skin, and a stellar camera are just a few of them. But then again, so does the normal S6. And when it comes to the Edge half of the equation, it all feels pretty ¯\_(ツ)_/¯. I knew something didn’t feel right as soon as I picked up the phone. Because of the flat back and rounded screen, it’s almost like holding a normal smartphone—but backwards. In fact, when I flip the S6 Edge over, palm against screen, it feels so much better. After spending near a week with the S6 Edge, I almost forgot how bad it was until I picked up my fellow Gizmodean Eric Limer’s normal S6. I immediately regretted my edged fate. But the Edge doesn’t exist for comfort. When Samsung introduced the Note Edge last fall, the always-on side display was sold as convenience, the ultimate productivity tool that kept all your most-needed apps only a swipe away. It also decluttered other apps like the camera by moving all the software controls to the edge, and Samsung even spoke of grand plans for an SDK, so app developers could tap into the potential of the Note’s new edge display. I actively tried to use that ticker for a night time clock and to check hockey scores and what not, but it’s so frustrating and limited. The only OK feature, exclusive to the S6 Edge, is where you can swipe from the edge of the screen to pull up a very iOS-like frosted glass window with quick access to your favorite contacts. That’s cool and everything, but there are apps that already do that but even better (like this one) and you don’t really need a curved edge to use it. The only thing that’s actually unique to the Edge is when a friend calls—if you’ve assigned them to your favorite contacts—the edges will glow a certain color so you can see who’s calling, even if your phone is face down on a surface. If you’re busy, you can double tap on the heartrate sensor to send a pre-selected text. Neat, but a pretty limited use case. I had the feature active for a week and never used it once. Reading on a dual-edged device is also a double-edged sword. (Yep, I went there.) For one, watching pages melt away when you swipe is strangely cool, but reading certain things, like comics for example, can distort the image along the edges of the screen. The angled glass also catches light in each bend, making the screen more annoyingly reflective in some cases than a flat screen would be. On the plus side, my greatest fear about the S6 Edge didn’t come to pass. I figured that the S6 Edge would be an accidental touch nightmare—because how do you hold a phone like this without touching at least part of the screen? To my surprise, it really isn’t. There were a few times, when juggling the phone on the subway, that I’d hit something with my palm. But none of it was nearly enough for me drop to my knees and curse Khan. 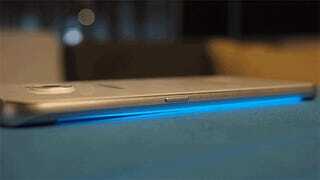 When it comes down to it, I don’t quite understand why the Edge exists, and I don’t think Samsung does either. It really feels like Samsung made this crazy phone, asked itself “Okay, so, why did we make this?” and then created some half-baked software to help answer the question, when really saying “eh, it just looks cool” would have been enough. The Edge does have one thing over your run-of-the-mill S6. It’s a conversation starter. That’s really the only thing you’re buying for $100—it’s cosmetics, not convenience. I guess that makes sense. Samsung’s Note has always been seen as the productive one, and the S series the pretty one. 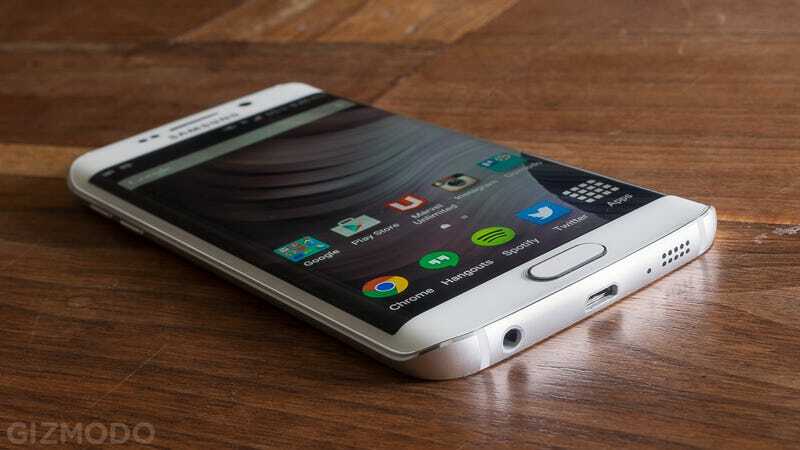 If the edges on the S6 Edge are just there to look good, that’s not too surprising. A couple times over the past week, I pulled the S6 Edge out of my pocket in certain social situations and counted the seconds until someone said “Oooohh, what is that?” It never failed. The Edge looks great, and so far it doesn’t seem even a teeny bit worse than the S6 in terms of performance and battery life. The ergonomic downgrade, the lack of useful software, and $100 premium just doesn’t make sense for me, and I suspect most people will feel the same. But if you want The Next Big Thing—just to show it off—well, that’s what the S6 Edge is for.